What is the Aarhus sound and why do I love it? The Royal Academy of Music in Aarhus, Denmark has turned out some very good musicians such as Alex Jønsson Christensen (The Lost Moose), Jens Mikkel (Lift Me Up So I Can Reach) and Jakob Sørensen (Bagland). All of these musicians have produced works of outstanding musicianship, atmospheric and recognisably Nordic. Hmm… there seems to be a pattern here… and here’s another one – double bass player Anders Ammitzbøll with his debut album (financed by Kickstarter) Hymns For Hearts, as exuberant and fresh an album as those which went before from fellow alumni. The combination of two guitars makes for a bubbly texture, the two instruments weaving in and out of each other. There is an African highlife lilt to the sound of the two guitars which is very attractive. Anders told me he chose two guitars in order that one could create soundscapes while the other plays a more “traditional” role and it certainly works in this live recording. The album could be considered as a symphonic shimmering whole, the lovely tunes gently unfold until the uneasy, freer Paranoia. There is the some delicate songlike solo work – sometimes just guitar, sometimes double bass – and plenty of space for the drums. The sound is beautiful, made for vinyl. This is an impressive, accomplished and confident debut album and we can expect to hear more from this bassist and I hope from this band. What a beautiful album cover! 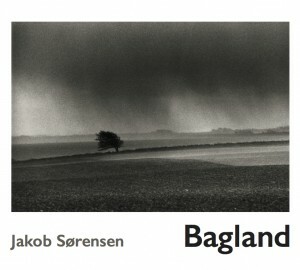 Bagland is the serene and haunting debut album from Danish trumpeter and composer Jakob Sørensen. It’s grounded in his Scandinavian roots (the title means support from back home) yet it transcends the dark melancholy of that genre with warm elegant melodies and effortless ensemble playing. Just as Babette’s sumptuous feast triumphed over the bleak landscape and even bleaker lives of her guests in Babette’s Feast (enlightening them physically and emotionally), so Jakob’s clear, supple and joyous tone lends a golden light to this windswept terrain, making it a very inviting place to spend some time. All the compositions are by Jakob. They are very striking, with a gentle lilt that makes them slip by effortlessly, dreamily – they are so polished and deceptively simple – and showcase Jakob’s flawless command of all registers. A feeling of calmness and contentedness is a hallmark of the Scandinavian sound. And I’d add lyricism, amply demonstrated in the soaring trumpet, the songlike guitar which floats, tinkly percussive effects like wind in the rigging of a sailing boat. There are so many treats on this album, the melodies prompt so many images – the pleasure of riding a horse along the shore, or being wrapped in a fur coat. Particularly attractive is the guitar of Alex Jønsson (other albums here and here) whose expressiveness and delicacy are the perfect foil to Jakob’s trumpet. Well worth a listen – as is just about everything out of Aarhus Academy!